Starring: Jennifer Lawrence (Silver Linings Playbook), Josh Hutcherson (Journey 2: The Mysterious Island), Liam Hemsworth (The Expendables 2) and more. Rating: Rated PG-13 for violence, fight sequences, alcohol usage and mild thematic elements. The odds were in the favor of this sequel as soon as the first one ended! Under the direction of Francis Lawrence (as opposed to Gary Ross who directed the first installment), this sophomore installment of the franchise that has caught fire and continues to be hot is a prime example of what sequels ought to be. Think of some great sequels Star Wars: Episode V -The Empire Strikes Back, Spider-Man 2 and The Dark Knight all come to mind. In a time in which sequels usually disappoint there exist a few that remain spectacular. (Next month’s release The Hobbit: The Desolation of Smaug has some expectations to meet up to.) 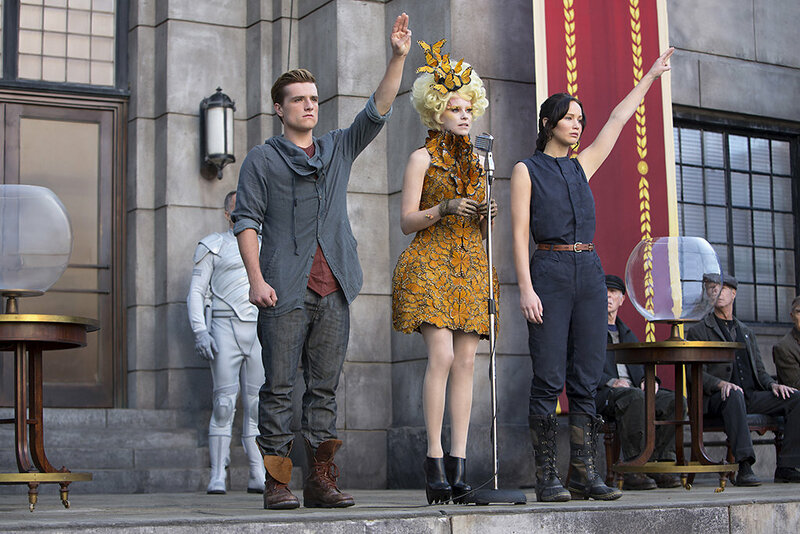 The Hunger Games: Catching Fire is one of those few and, dare I say, takes it further and is better than its predecessor (my review of the 1st Hunger Games movie HERE). 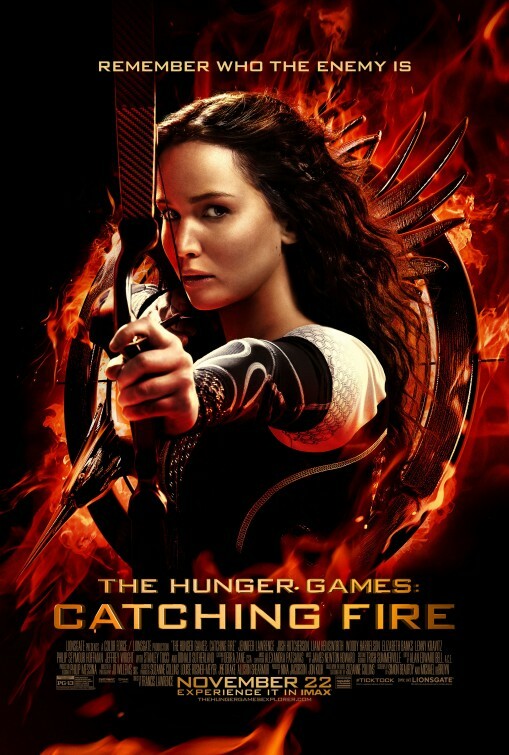 Whether it be the new director, or the new budget increased by more than double the original, the content of the book or the familiarity of the cast with the characters whose parts they reprised, (or perhaps a mixture of all the above) The Hunger Games: Catching Fire impresses even more with its story; the approval, indifference and/or hatred for the characters; the action; and the various underlying plotlines that serve as the powerful undercurrent and driving force of the persecuted peoples of Panem. Along with the actors who take on the mantle of being the characters that we loved from the first one once again we also get introduced to some new members who also play their parts pretty flawlessly. A few worthy of note include Jennifer Lawrence, Stanley Tucci, Josh Hutcherson (who seems to have grown into his character even more), Woody Harrelson, Donald Sutherland, Philip Seymour Hoffman, Sam Claflin, Jeffrey Wright and more. Not a single performance seemed forced or fake and the emotions in every scene came through largely in part due to their fantastic performances. Thankfully, Lawrence (Francis, not Jennifer) opted to avoid the annoying amount of shaky cam usage from the first one (that did serve a purpose to a degree) and chose to keep the extreme cinematography at a minimum in exchange for great visuals, panning shots (such as the shots of the Capitol and processions that appear Roman-esque and Ben-Hur-ish) and character focus. Not a moment during the entire film is there any remnant of boredom. The film’s tightly written screenplay translates on-screen in a fashion that is both engaging and engrossing. From the fight scenes (which again impressively stay rather real even with the limited show of blood), to the chemistry among the characters, to the anticipation for the plot developments to the re-immersion into the arena, to the contrast between the worlds of poverty and plushness so much in this film contributes to the story and the audience experience that, come the end, you will wish that it wasn’t a year’s wait until the next part (The Hunger Games: Mockingjay Part I releases on Nov. 21, 2014). This taste of the Hunger Games is pretty sweet. 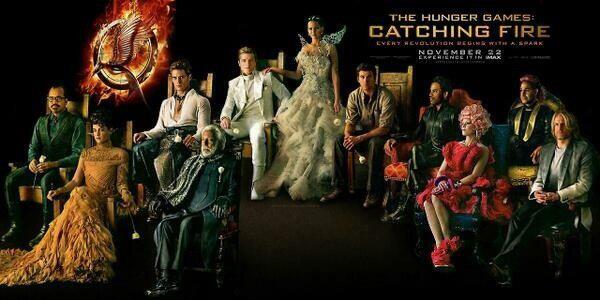 This Hunger Games continuation leaves you hungry for more by the time that the end comes. Sighs could be heard all around the theater when the end came as viewers all wanted the story to continue despite how much time had already transpired (much like the end of The Lord of the Rings: The Fellowship of the Ring). Not only is this sequel full of great action and adventure and fun characters (once again Stanley Tucci entertains as the blinding-white toothed emcee of the games), but it also pays even greater attention to the political issues and their weight in this film through the cinematography, costumes, challenges faced and the characters. Donald Sutherland who plays as President Snow simply radiates the evil of the political leader of Panem and implementer of oppression. 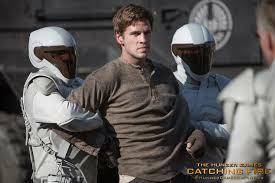 I remember being apprehensive and a bit uneasy during his first encounter with Katniss Everdeen in this film. All players executed their parts tremendously well. Those of you that get to see it in IMAX, enjoy. This featurette really made me want to see it that way and I wanted the effect they reference in this video when the games actually do begin. All things considered, I find myself wishing that Francis Lawrence directed the first one, but then, would I still be as impressed with this sequel? I think so. This story of courage, defiance, hope and love continues to burn a fire in the hearts of audiences. 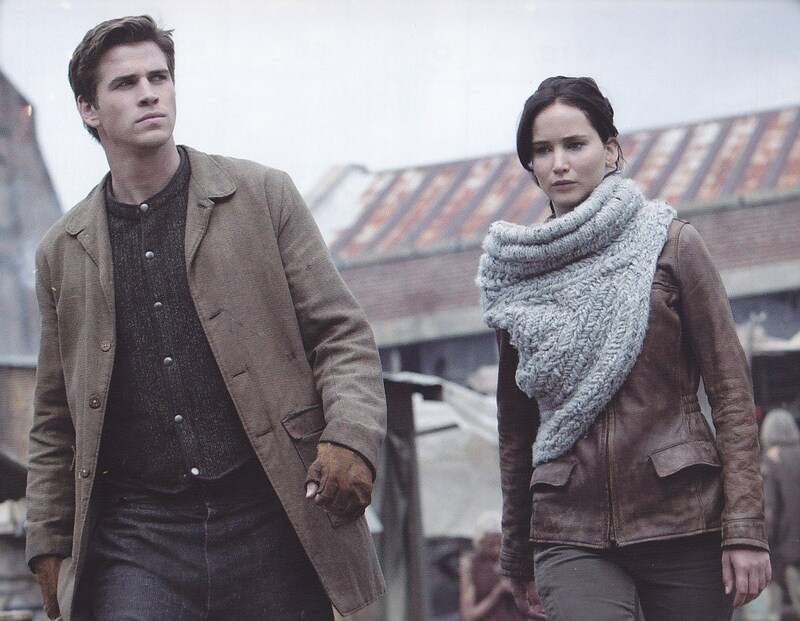 Go see The Hunger Games: Catching Fire…it’s hot! Previous Happy Birthday, Scarlett Johansson! Good review T. The first still worked a bit better for me, but this one definitely keeps the story moving, the characters more developed and me excited for what’s next to come. Hopefully, it’s even more epic than I ever truly imagine it as being. I only skimmed through your review there T., going to see it at a true IMAX theater later this week. It’s pretty cool that the last 50 minutes will all be on in IMAX, no aspect ratio switching back and forth like the last two Batman films, Star Trek: Into Darkness (Abrams did an awful job of integrating the IMAX sequences into his film), and Mission Impossible 4. Nice one T!!! It’s an exciting time to be writing about films when a movie is made that is this popular, and can deliver upon expectations so well!! I haven’t been this excited for another follow-up since TDKR. I know that’s going to be a popular comparison, but it’s so true for me. I, like you, though, will not read the books until I’ve seen all the films. They’re just that much more fun that way, when you don’t know what’s going to happen next. Glad to hear this lives up to and maybe even exceeds the first one. Really enjoyed the first movie.